This is a great back to school activity to get to know one another. 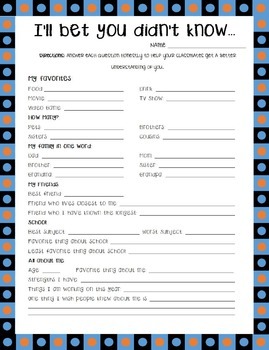 Each student will complete the activity and then share with their classmates. Sections for favorites, family members, school, etc.